I mentioned in comments on Thursday that I wanted to illustrate a real life example of an expanded flat. The concept is important when trading corrections. I did not have to go far back at all to find a good example of this very common corrective structure. 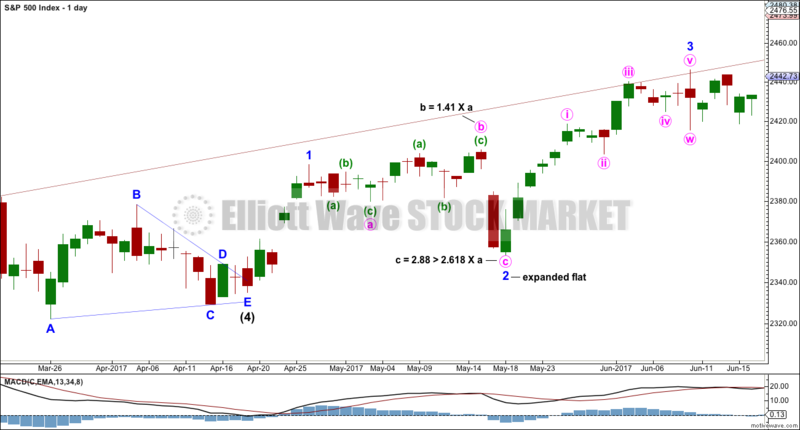 This expanded flat is in a second wave position within the final wave up of intermediate wave (5), which may have ended primary wave 3 at the last all time high. Within expanded flats, both waves A and B must be three wave structures. Wave B is a minimum 1.05 length of wave A, so it makes a new price extreme beyond the start of wave A. There is unfortunately no rule stating a maximum length for B waves within flats. There is a convention within Elliott wave that states when the possible B wave is longer than twice the length of the possible A wave the idea of an expanded flat should be discarded based upon a very low probability. I have seen a few expanded flats though which in hindsight were correct that had B waves that were longer than twice the length of their A waves. The longer wave B is in relation to wave A the longer wave C should be expected to be. Here, wave C has a good Fibonacci ratio to wave A. Wave C of an expanded flat should move substantially beyond the end of wave A. The whole structure has an expanding sideways look to it. Expanded flats are very common (only zigzags would be more common). It is my judgement given nine years of professional daily Elliott wave analysis that expanded flats are the second equal most common corrective structures alongside combinations. What technical signals may give an expanded flat away? The answer lies in the strength, or lack of it, in wave B. – Very slight divergence at the end of wave B between price and RSI. 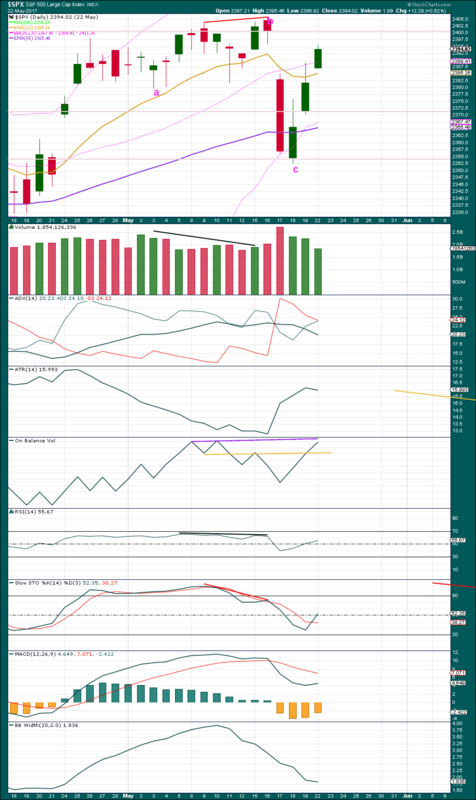 – Strong divergence at the end of wave B between price and Stochastics, after Stochastics has reached extreme. Published @ 03:13 a.m. EST on 2nd September, 2017. Very informative, thank you for the lesson!